Oh my goodness! We found the cutest idea ever for your Easter festivities!! 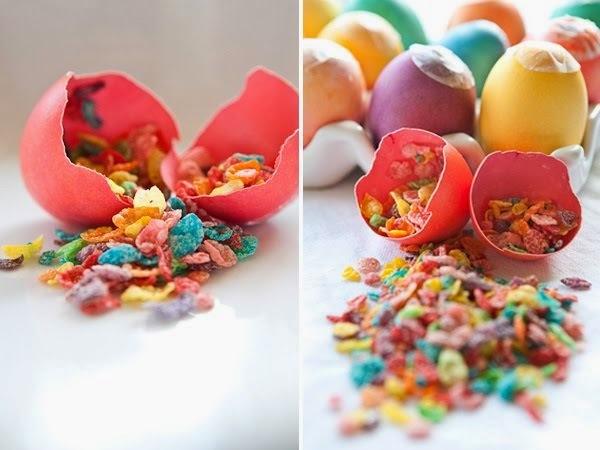 Confetti Easter Eggs! They are traditionally called Cascarones and you play by smashing these colorful fun eggs over your dear friends heads! To put a spin on the game, fill one egg with gold confetti (we have it in store!) and the rest with fruity pebbles cereal -- so you won't feel bad about clean-up.... let the birds clean up for you -- and whoever gets the gold confetti get a special prize (might we suggest a giant bag of chocolate coverage cinnamon bears?)! Check out Oh Happy Day's blog for full details and instructions.